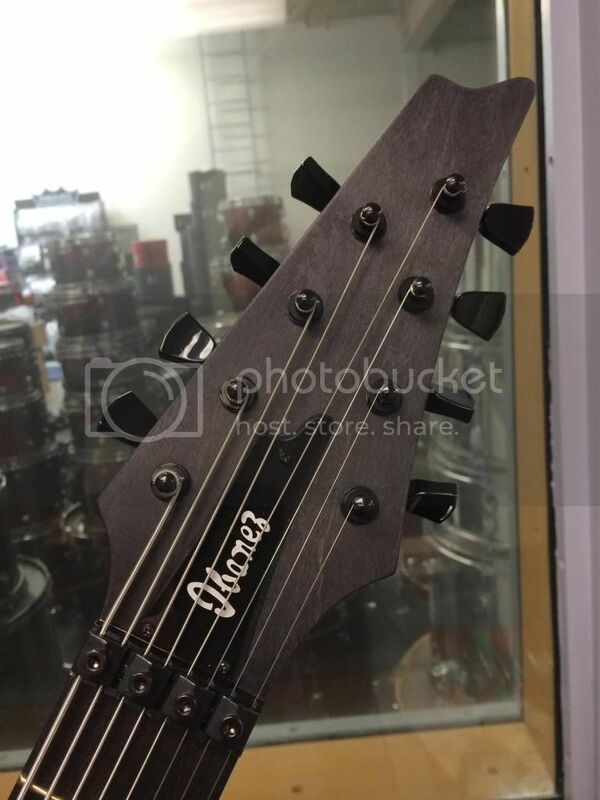 a 27" 7/8 string Iceman/Stoneman would be awesome. 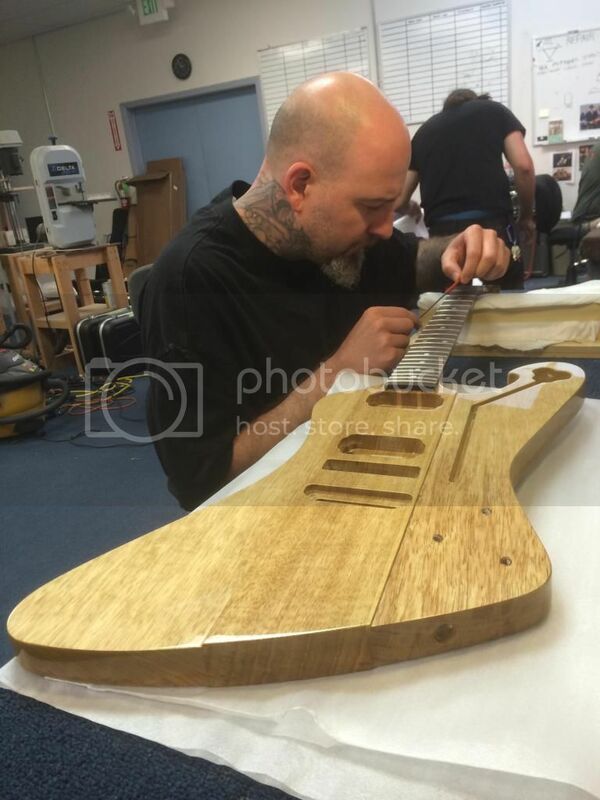 Aaron working on Fredrik's new guitar for the Meshuggah LA show. I just wanted to chime in on this and offer the other side of the argument here. 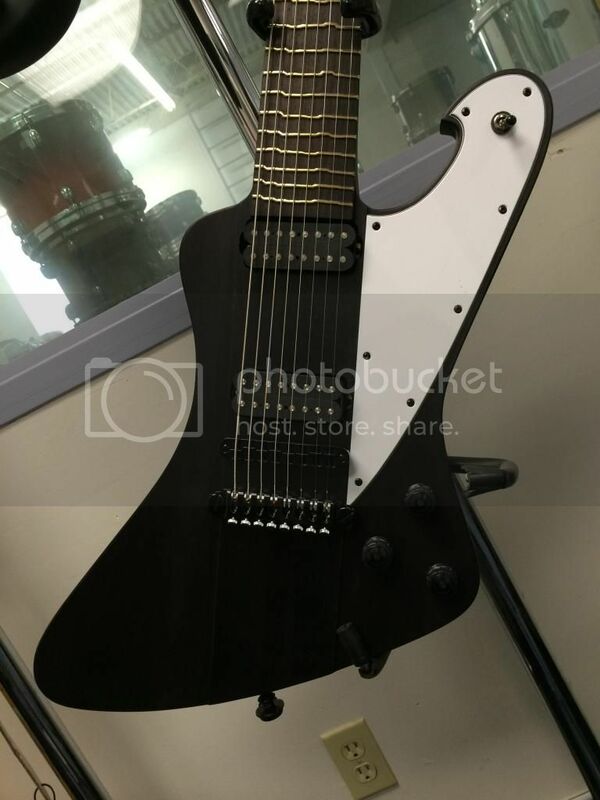 I'm a fairly big guy, so I don't ever struggle with the weight of a guitar, but I have to say that I like the fact that the RG is a fairly 'big' guitar as well, the thickness of the body makes it feel more reassuring to me, I remember James from Cradle of Filth trying an even thicker body on one of his guitars. If people really want a thin RG shape the the TAM is there for them to go with, they could also try an S series. Please leave the old school RG size for the old school RG sized guys . A thicker body might even help with neck/body balance? 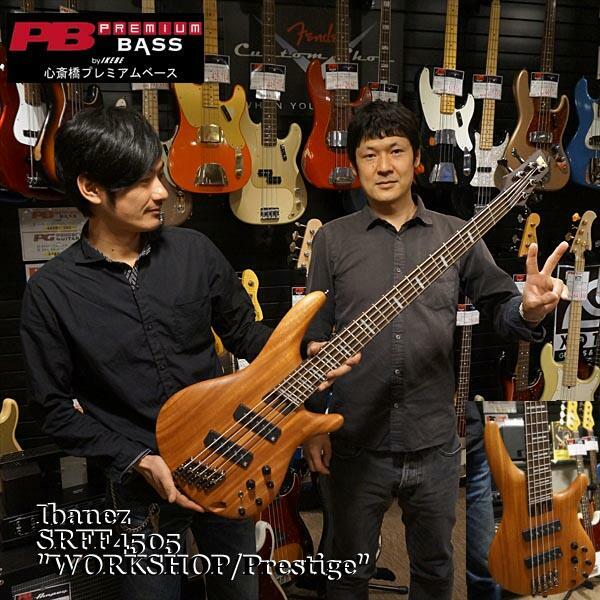 Hey Tak, I recently saw this posting of a fanned-fret Ibanez SR 5 string bass. If the R&D Team is keeping track, you can put a tally mark in the YES column for a Lo Pro Edge 8 bridge. Crazy! 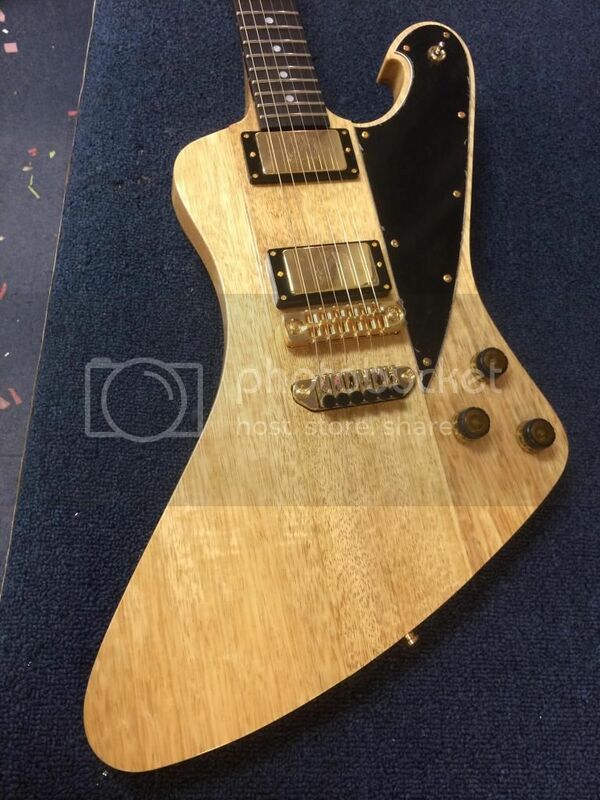 Is this shape a potential new signature guitar? We don't know yet at this point. Fredrik is still testing the guitar in live stage and studio. 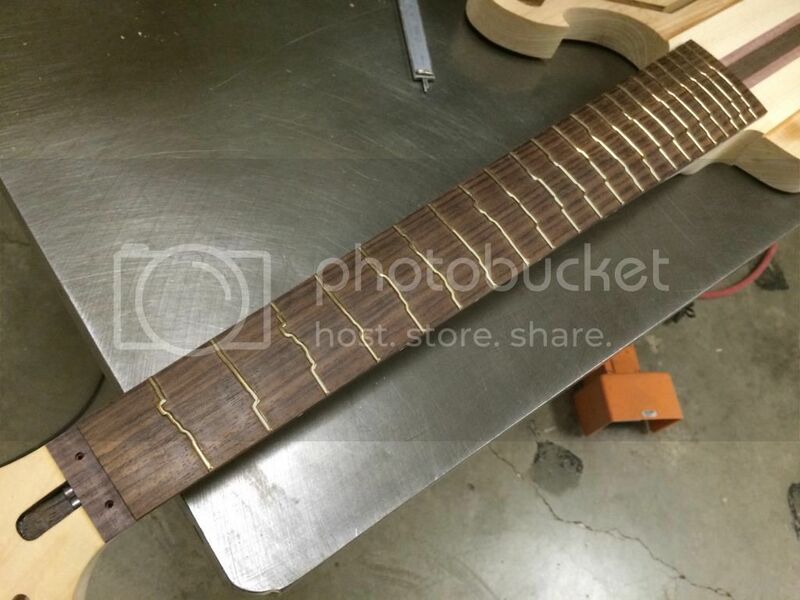 The 6 string Stoneman is made out of korina and set in neck. 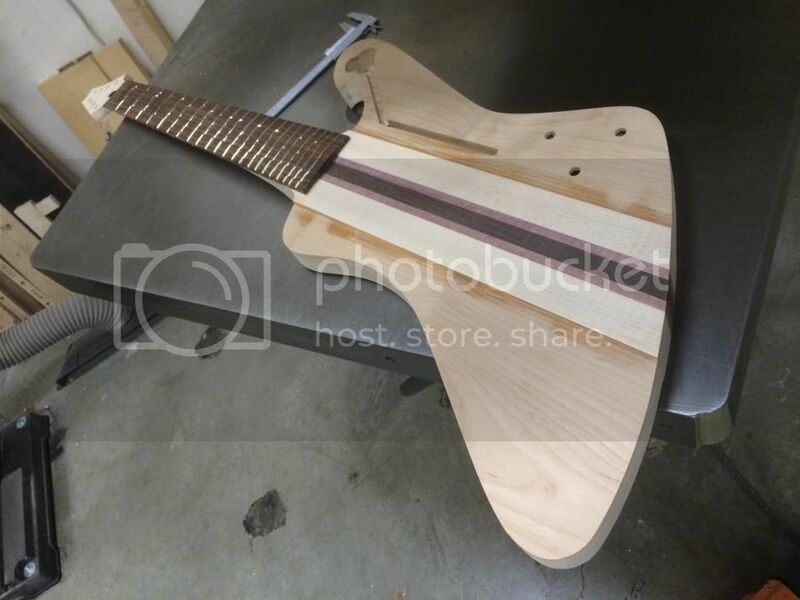 This new 8 string Stoneman is through neck and has Alder / Swamp Ash wings. 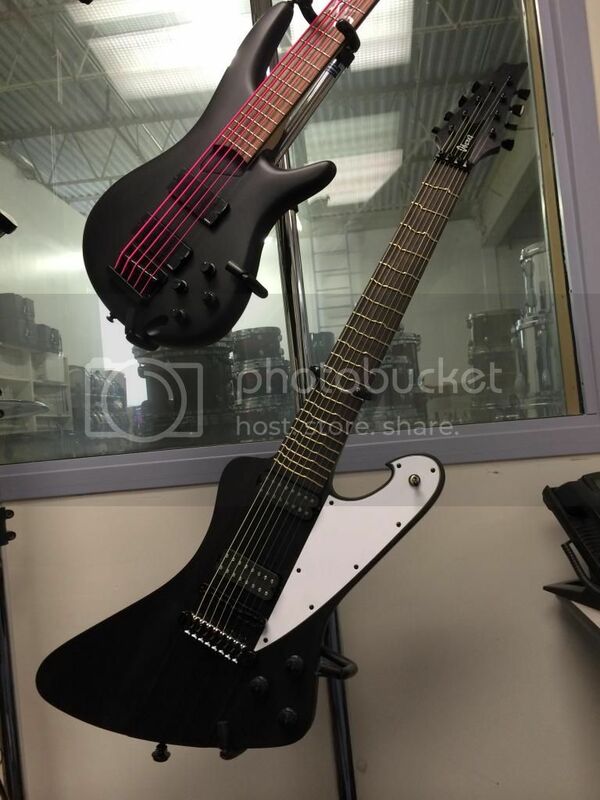 You guys should really consider a small production run of the regular fretted version of the 8 string Stoneman. 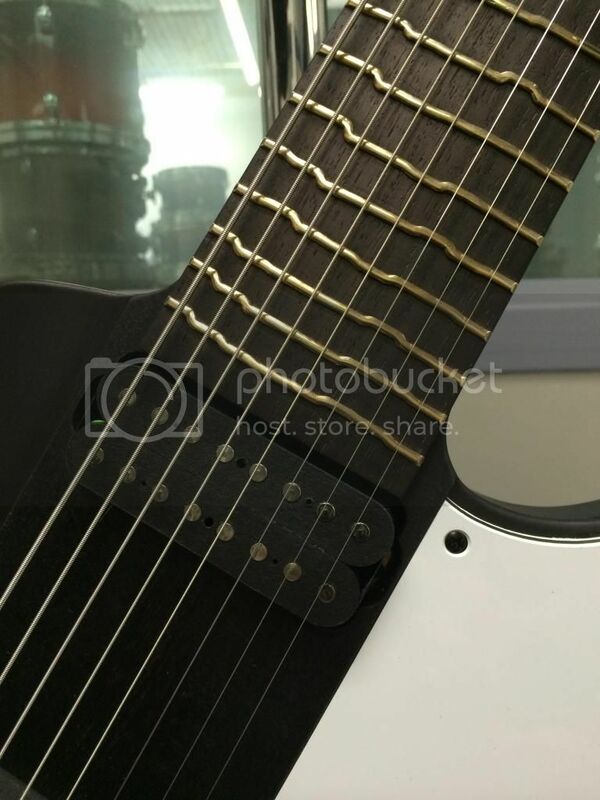 I've never seen a true temperment 8 string neck! 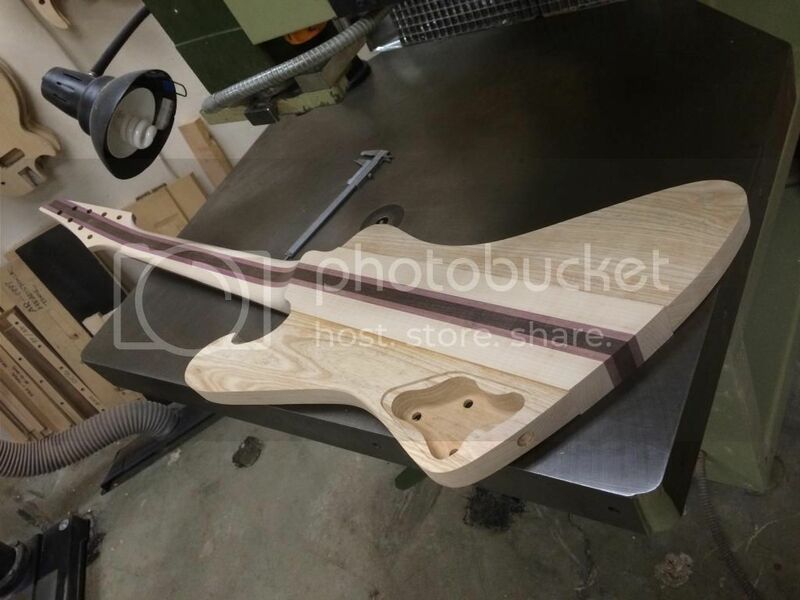 Tak, is there any chance that you guys could be convinced to make that amazing bridge/tailpiece available for purchase? 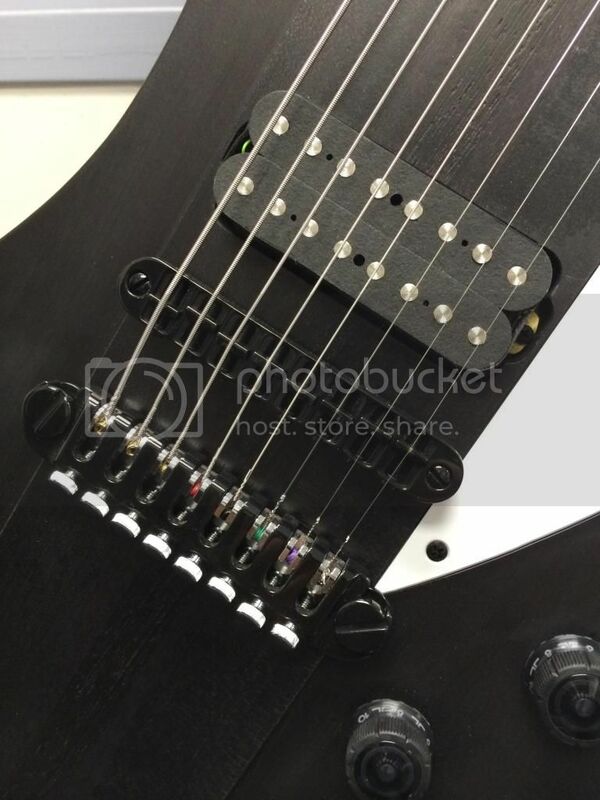 I have been trying to find a tuneomatic 8 string tailpiece for the past year. I would seriously love to buy a couple! 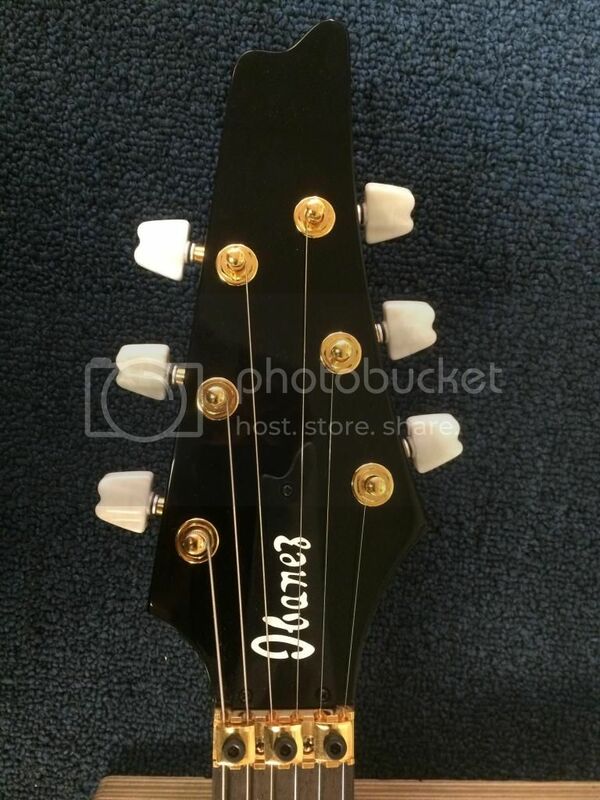 On the topic of the guitar itself, it looks incredible. 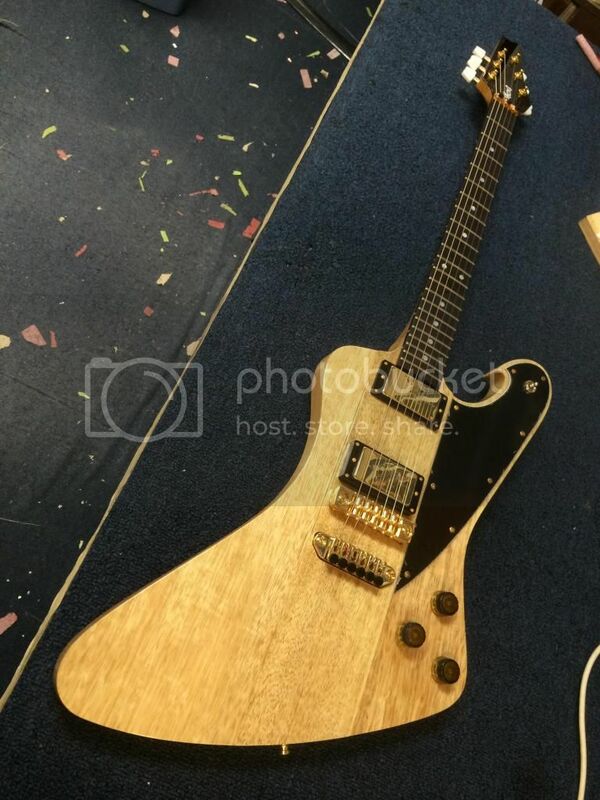 I'm not interested in the True Temperament stuff, but otherwise, that guitar is such a beautifully classic design, it would be an incredible shame if you didn't make at least a limited release 6/7/8 string version. This Stoneman's bridge and tailpiece set are made by ABM for my boss Fredrik. I think sometime in near future they will be available for everybody (but don't hold your breath). He wanted this combo for more neck angle, string tension and whatever something I don't understand. The Stoneman is somehow very loud guitar though, you will like it. The True Temp stuff, some love it some don't...........But looked cool right?